OMAHA, (Neb.) OBI Creative, a research-based, innovation-driven advertising agency, announces a major investment in the region today by purchasing Alt Studios, a Des Moines based strategic digital, IT, web hosting and social media advertising agency. The acquisition of the Iowa-based Alt Studios brings additional expertise in digital media, IT and social media while OBI is well-known for research, strategy and award-winning creative. Clients of Alt Studios range from finance to health care, local startups to national conglomerates. They will continue to serve their portfolio of clients going forward as well as those of OBI. Alt Studios will be rebranded as OBI Creative. OBI is currently working with several Iowa businesses, including insurance company GuideOne, Des Moines, the Okoboji Tourism and Visitors Bureau, the Pearson Lakes Art Center, Okoboji and Priceless Prints, Shenandoah. O’Brien got her start in marketing working for Gateway, beginning in Sioux City and then moving to San Diego when the company relocated to California. OBI still maintains an office in the San Diego area. Previously Alt Studios was a business unit of Redglaze Group, a network of companies, headquartered in Omaha. Alt Studios was formed originally in 1998 as Innova Ideas and Services, a full-scale creative and marketing agency and rebranded in 2012 as Alt Studios. Terms of the sale were not disclosed. The acquisition, finalized on Monday, May 1, 2017, will result in Alt Studios becoming a wholly owned subsidiary of a holding company owned by O’Brien. OBI Creative is a research-based, innovation-driven advertising agency based in Omaha, Nebraska. Founded in 2001 by Mary Ann O’Brien, OBI starts and finishes each and every marketing plan and campaign with the customer—determining motivations, behaviors and key consideration drivers. 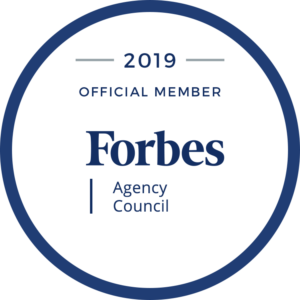 Armed with that knowledge, the award-winning OBI team aligns those motivations with clients’ products and services to provide actionable messaging, strategy and creative execution to drive intended results. Alt Studios is creativity with purpose, offering companies seeking growth new opportunities and alternative solutions through its collaborative “studios”: creative and strategy. Agency services include strategic marketing, branding, creative design, and web hosting and development. The Alt Studios team serves clients across the nation, with strengths in agriculture, financial services, health care, technology and education. Congratulations to OBI for landing the Alt Studios contract. It looks like a good one. This is great news. Well done!